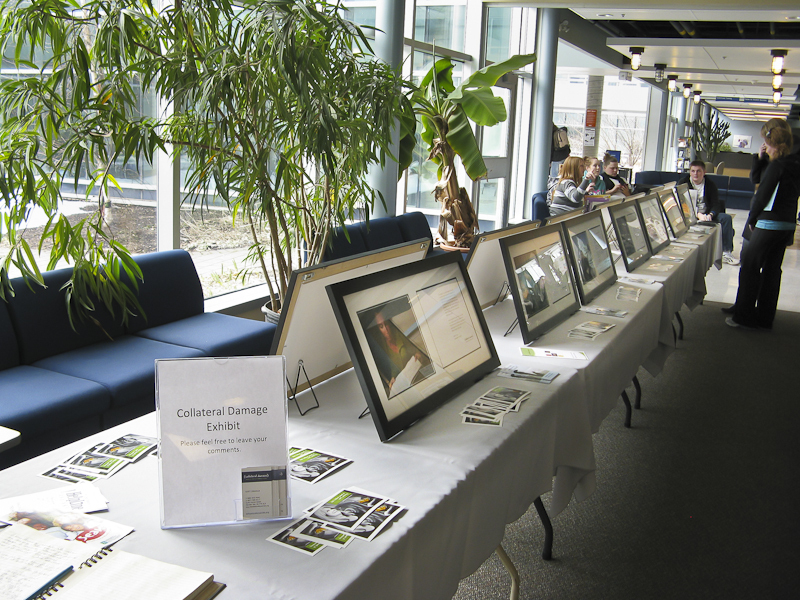 A big thank you to Pictou Campus of the Nova Scotia Community College (NSCC) for hosting the Collateral Damage Project (interim) exhibit. 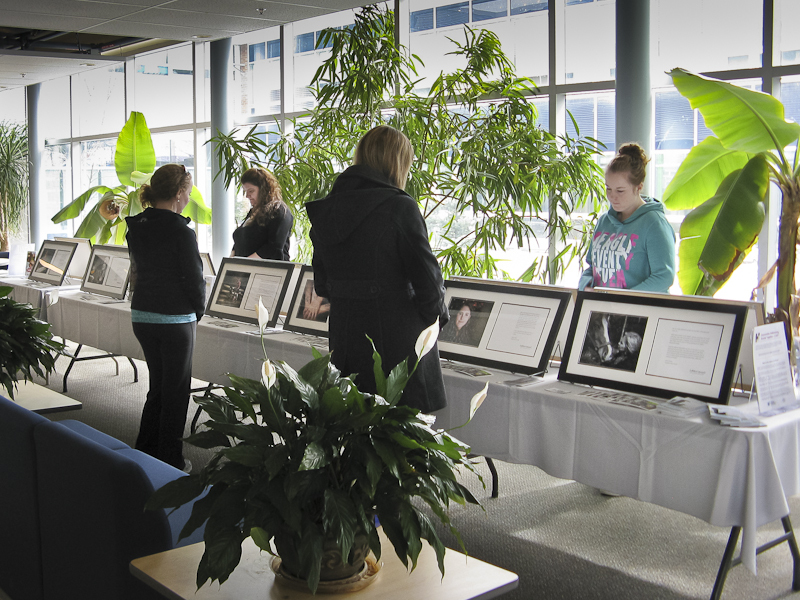 I welcome comments from students, faculty and anyone else who had the opportunity to see the exhibit. Your comments and feedback will help set the stage for exhibits as the Collateral Damage Project continues to grow. The following is part of an email that I received from Bert Thompson at Pictou Campus of NSCC. I am one of the counsellors at the Pictou Campus of the Nova Scotia Community College. We have been hosting your project over the last week and have been honored to do so. I think you have done a terrific job of capturing and communicating the impact of suicide on those left behind. I love the diversity of the stories, each one showing a slightly different angle. I also wanted to let you know that your project is making a difference. I have witnessed and participated in several conversations about suicide as a direct result of your project being displayed on our campus. So, thank you from all of us at NSCC – Pictou Campus. Your courage and project are making a difference.